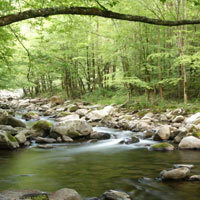 The Great Smoky Mountains have some of the most breathtaking views of nature in the world. A getaway to these peaceful and awe-inspiring mountains will provide you with a chance to chill and disconnect from your day to day routine. When you return home, you will feel like you’ve actually had a vacation. 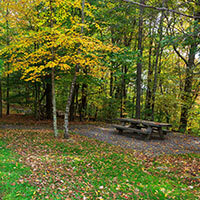 This area is great for exploring the wonders of nature with family and friends. Hiking, fishing, horseback riding, river tubing and whitewater rafting are just a few of the many outdoor activities available in the mountains. The Margaritaville Island Hotel, located only 10 miles from the Sugarland Visitor Center inside the Great Smoky Mountains National Park, is the ideal home base for your mountain escape. Once in the park there are many activities for you to enjoy, whether you enjoy the challenge of hiking to the peak of a summit or prefer to chill by a mountain stream and watch the sun set. 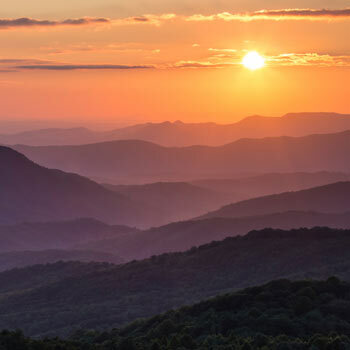 A driving tour of the park offers a chance to see beautiful vistas, cascading mountain rivers, preserved historic buildings, and the flora and fauna of the Smokies. 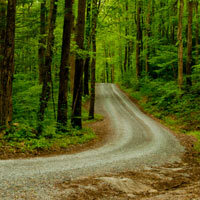 Pedal through Cades Cove for a memorable way to experience the park. 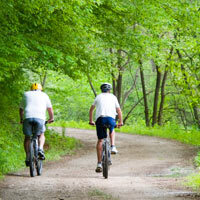 For optimal cycling, check the park’s listing for time periods when the park is closed to motorized vehicles. Hoping to see an elk, wild turkey, deer, or black bear? The best sightings are usually at dawn. 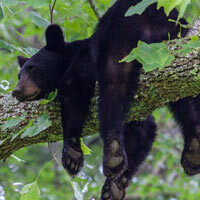 Check with the Sugarlands Visitor Center to find out optimal viewing times and places and be sure to keep a safe and secure distance from all wildlife. 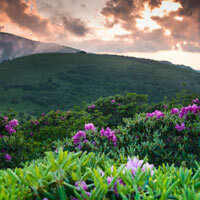 You can find blooming plants year-round in the Smokies, but spring and summer are the best time for the beautiful displays of wildflowers, especially the spectacular rhododendrons, alongside the road and hiking trails. 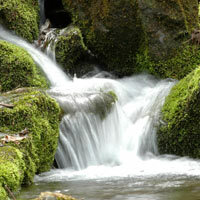 There are over 700 miles of fishable streams in the park. A valid Tennessee or North Carolina Fishing License is required for those 13 years old and up. You will need to purchase your fishing licenses before entering the park as they are not sold inside the park. 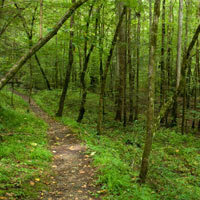 The hiking in the Great Smoky Mountains is some of the best hiking in the world. The park has over 800 miles of trails ranging from beginners to advanced, from quiet walks in the woods to multi-day backpacking trips. The park has about 80 historic log cabins and structures - homes, barns, churches, schools, and grist mills - that have been preserved. 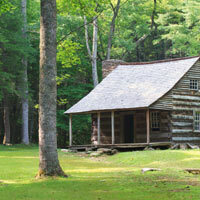 Cades Cove is a great driving tour to see many of these protected historic buildings including the Becky Cable Grist Mill. 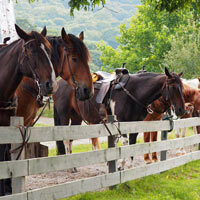 The national park has four rental stables with mounts and guides and hundreds of miles of horse trails. There are many spectacular rapids and breathtaking waterfalls in the park. Check with the concierge or the Sugarlands Visitor Center to find out which options suit you best.